Accidents, by definition, occur at random and are always associated with an exceptional set of circumstances. It is therefore impossible to predict the nature, place, time and magnitude of an accident. Pollution control equipment must be permanently available, while being put to profitable use in the periods between cleanup operations. 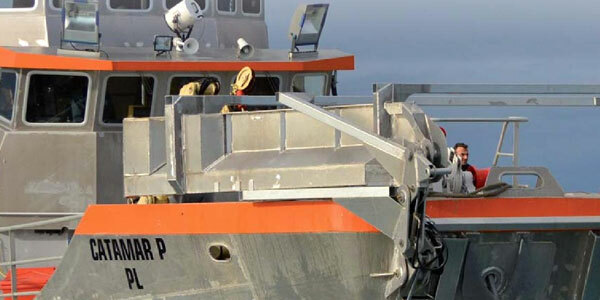 ECOCEANE has created ranges of versatile boats, which are both fully operational workboats and exceptionally high yield cleanup and pollution control vessels that are ready to respond at any time. Our boats represent a profitable business model during on-watch periods. Wherever our vessels are deployed, they are always ready to respond should cleanup or pollution control be required. Deploying four Spillglop 250 vessels during the Gulf of Mexico oil spill disaster would have cost less than 1/1000th (one thousandth) of the actual cleanup cost. These vessels would have been capable of cleaning up all of the hydrocarbons, by avoiding the need for dispersants which have as yet unknown environmental consequences. These vessels could have worked as supply vessels for the oil industry before and after thecleanup operation.